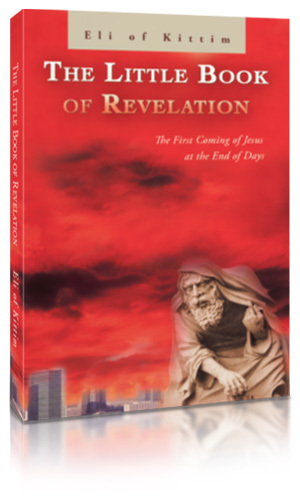 This book is the culmination of what the author knows about the scripture, a product of many years of research and hard work, The Little Book of Revelation is a lifetime’s work. It’s a fascinating study in search of the real Jesus. The author concludes that scripture is essentially a collection of prophecies, not a record of past events. Jesus does not say “Blessed is he who heeds the words of the history of this book,” but rather “Blessed is he who heeds the words of the prophecy of this book.” Thus, the current tenets of Christianity with regard to the origin and advent of Jesus are based on fundamental misconceptions. The book’s argument is that Christ’s visitation has not yet occurred in the world of time, since it is a future event, and that his origin will be derived from the Greeks, not the Jews, when he does appear. The author solves this paradox by employing a simple decoding process that essentially allows scripture to interpret itself. The evidence pointing to these conclusions is predicated on sound biblical scholarship and research. These two premises reflect the results drawn from an extensive comparative analysis of the scriptural material. Where non-biblical sources are concerned, such as the prophecies of the famed seer Nostradamus or the Dead Sea Scrolls, these will be employed for the purpose of conveying a consensus of the uniformity of thought among all of the discussed figures and spiritual traditions. Knowledge and wisdom await everyone in between the covers of this revealing treatise. In The Little Book of Revelation, the author has written an illuminating book that will inspire the readers to endeavor to search and verify for themselves prior to passing premature judgment upon these views. It encourages them to examine “the Scriptures” in order to ascertain whether current teachings are consistent with them. It will empower them to be better prepared for what is about to come: events of epic proportions that will soon shake the world to its very core. Beautifully written. Highly creative literary analysis. An intriguing study. Bible scholars and eschatologists may want to consider its thought-provoking ideas. Dr. Robert Eisenman, eminent biblical scholar and author of "James the Brother of Jesus" and "The New Testament Code"
Sounds like you've got the subject well in hand. What can I add? Your illustrations are really good. You've mastered another world than I.